We offer 36 months HW warranty on our equipment. Under the warranty, Xena will repair free of charge any hardware that has been reported to be defective within the 12-month period after purchase. The procedure is simple. 2. Our support team will try to troubleshoot the unit. If we agree the problem requires an RMA, please submit this RMA form. We will then send you the paperwork (proforma invoices, shipping documents) needed to have the unit returned for repairs. If necessary, we will also provide a replacement unit for the intervening period. 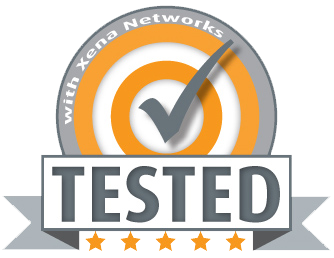 Xena also offers extended warranties for all Xena products, for a fee. The extended warranty provides an additional 12-month coverage with the same terms and conditions as the initial warranty, and it is purchased per individual product. Please note that hardware warranty must be continuous – i.e. if your warranty has expired, you will be required to pay for the intervening period. Request more details from your local partner, or from Xena Networks.